The Winnipeg Collection Outlet Mall opened May 2017, and to be part of the development was one of our highlight projects that year. 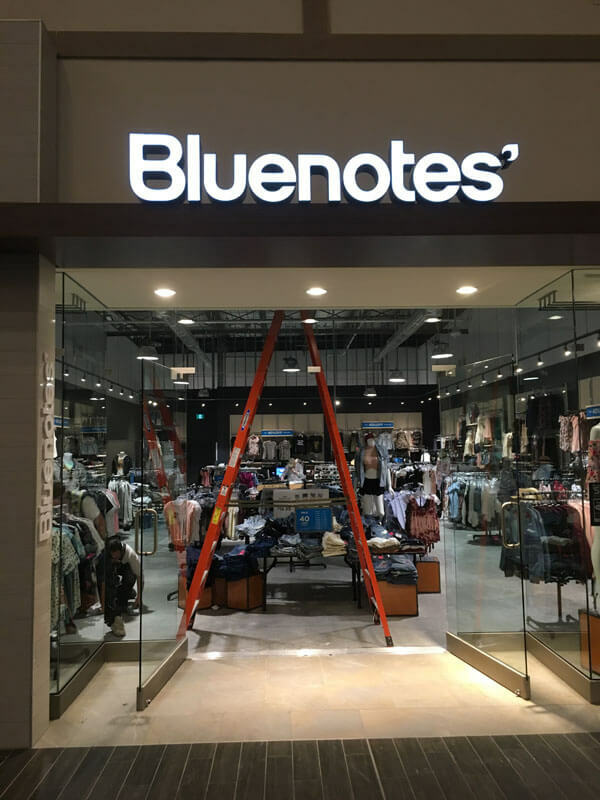 We developed five retailers in the Mall, and Bluenotes was one of them. We were subcontracted out to complete the whole interior. Installing wall standards, millwork and install cash desk, lighting alterations, and painting. All projects had a hard deadline with financial penalties if not satisfied, and we were happy to complete all five of our given timelines.